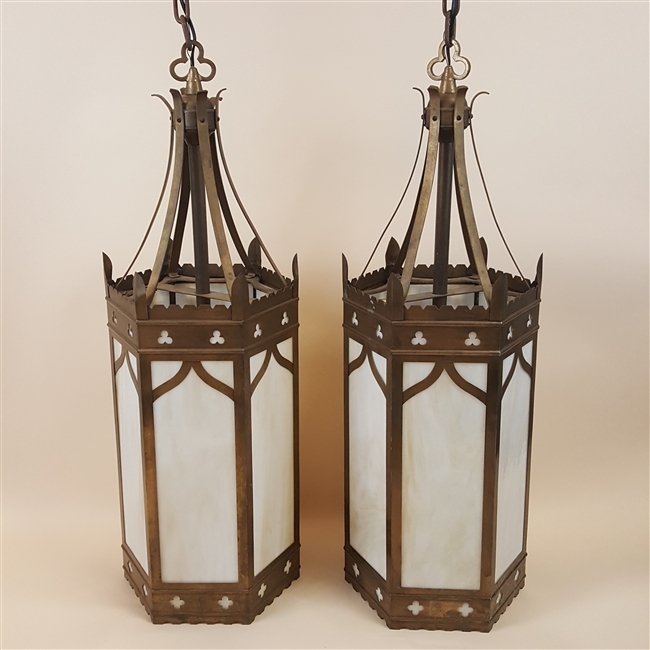 These large vintage lanterns are very high quality. 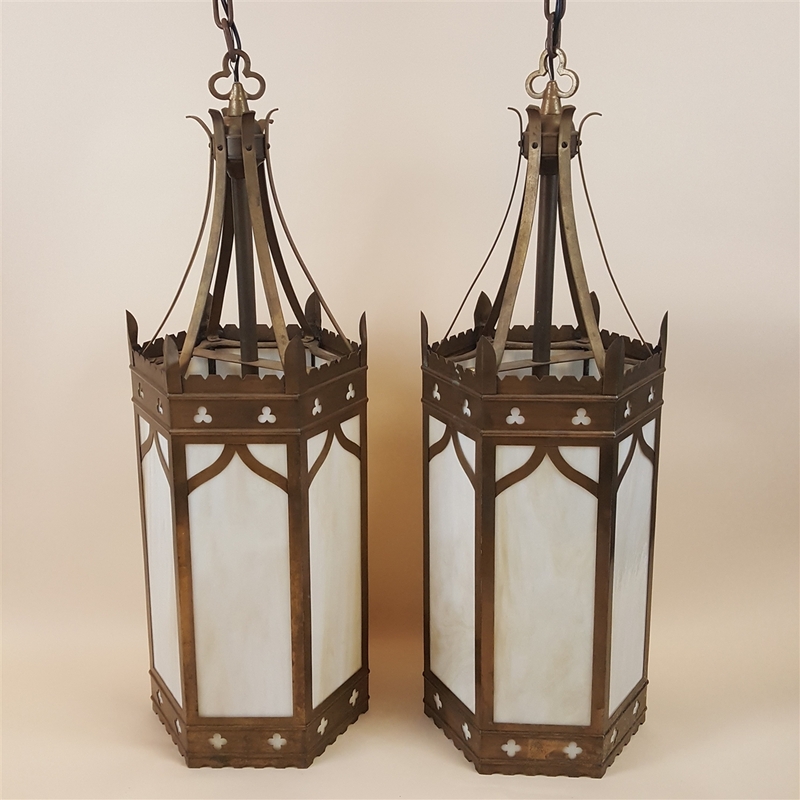 They are solid brass and are special because most lanterns of this size are made of steel. drop height is 62". Minimum drop height is 38". Fixture body: Width is 12" and Height is 36".